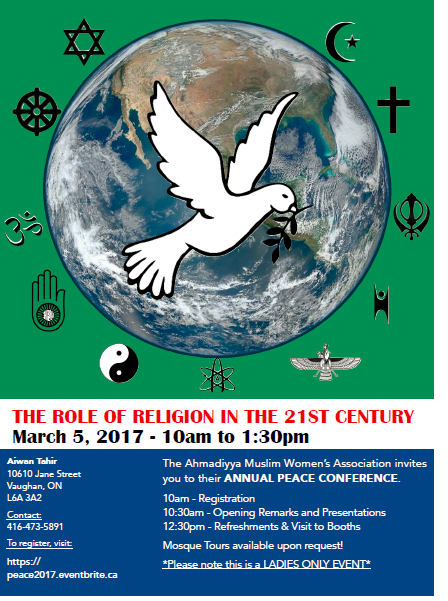 As the International Women’s Day approaches close, the Ahmadiyya Muslim Women’s Association organized a Peace Conference at Eiwan Tahir Community Hall in Vaughn Ontario on March 5, 2017. The theme of this event was the Role of Religion in the 21st Century. Women from around a dozen community groups from the Greater Toronto Area participated and shared their perspective on what they have to offer for World Peace in 21st century. 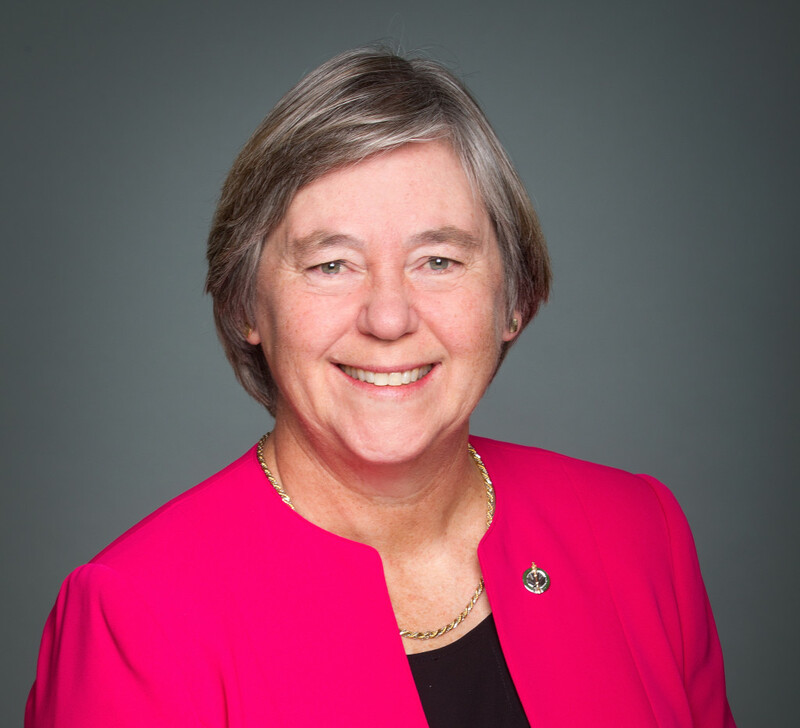 Honorable Deb Shultz MPP for Vaughan and King Area.Ms. Shultz spoke about religion as a positive force to counteract the fear of Islamophobia. She recalled the hate crime committed last month at Quebec mosque in which five innocent people lost their lives. All Canadian stood against that hate crime and cried loud and clear to reject such hateful terrorist attacks. She said no religion is immune to such violence. Canada is a beautiful and cohesive society built on multiculturalism based on a variety of faiths, country of origins, languages and cultures and there are challenges to its cohesiveness. Canadian Government has established a steering committee to collect data and information on hate crimes. She admired the ongoing positive and integrative huge contribution of Ahmadiyya Muslim Community to Vaughan and Canada. She recalled some of Ahmadiyya campaigns to fight Islamophobia such as Meet a Muslim Family, Fast with a Muslim Family, Humanity First Initiatives and charity walks for raising funds for local hospitals and libraries. Lisa Ward, Multicultural Program Regional Coordinator spoke about taking care of nature around us and considering ourselves as part of an eco-system of Nature. Constable Alice Tsang from York Regional Police spoke how she and her team acts proactively to prevent crime rather meet at the crime scene. Concluding remarks were given by Mrs Amatul Salam Malik, the National President, Ahmadiyya Women Association of Canada. The event concluded by silent prayer led by Sahibzadi Amatul Jameel Sahiba, the granddaughter of the Promised Messiah (peace be on him) and the Founder of Worldwide Ahmadiyya Muslim Community. After a delicious vegetarian lunch, audience strolled around a dozen of booths set up by host community and the participants. 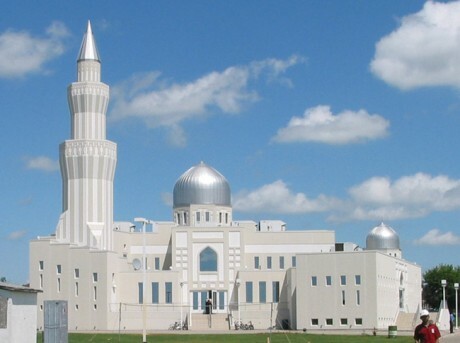 Many took a tour of Baitul Islam Mosque. The day was a thrill, an experience, a step forward to promote peace in our community by opening our doors to all and saying Asslamo Alaikum to everyone- Peace be on All of You!